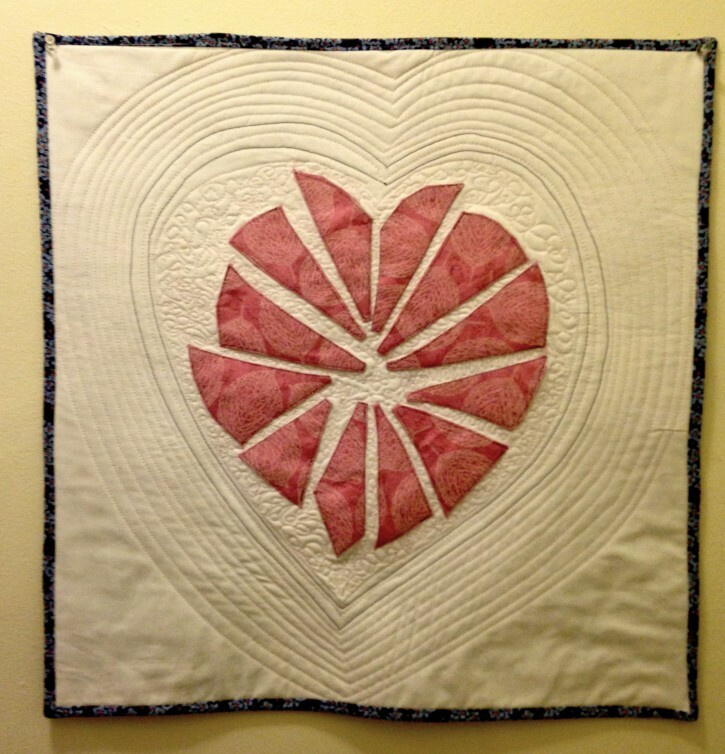 At January’s Jersey Shore Modern Quilt Guild meeting, I was inspired by Helen Ernst‘s beautiful Bursting Heart Wall hanging. There are many techniques new to me, and apparently I tried most of them out on this mini quilt. 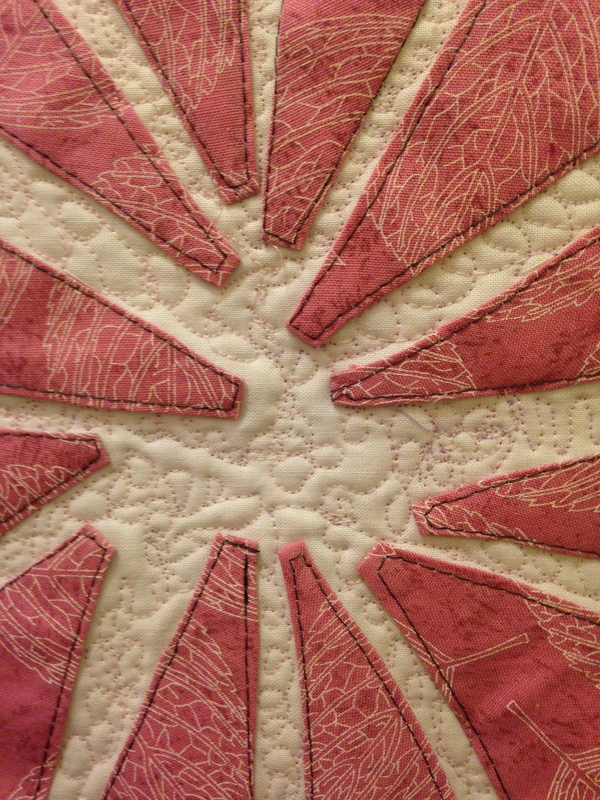 First – I used the same tutorial as Helen, except I drew the heart directly on lightweight fusible interfacing. After cutting it apart, I ironed it directly onto my fabric. For my first applique ever, I think it worked out well. Second – I finally tried spray basting. Yeah, I’ll be spray basting from now on. Why was I so afraid to try it? It was quick, easy, and I had great results. 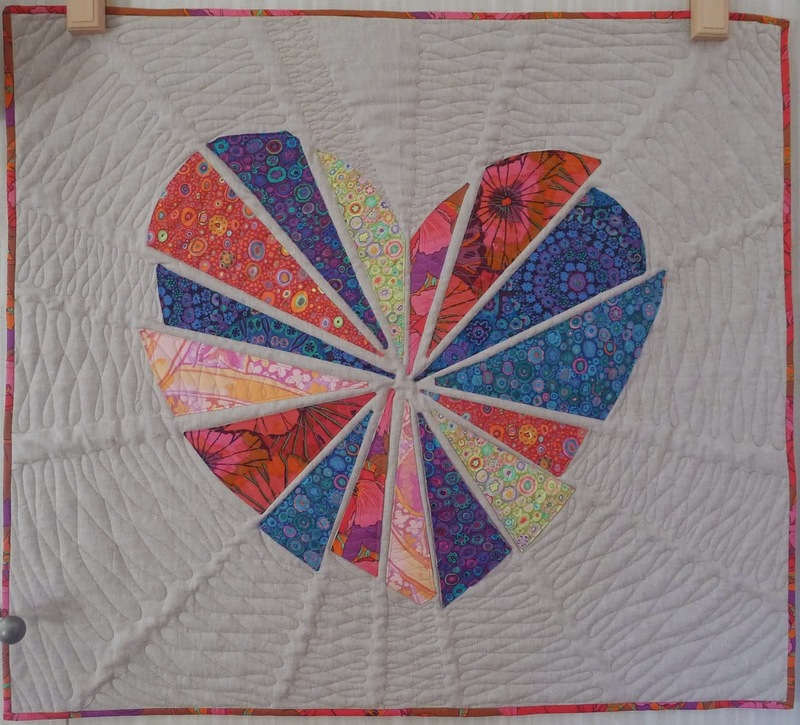 Third – I stopped being a baby about Free Motion quilting, and attempted a really free motion design between the heart shapes. I guess this worked out better than other attempts, but I still have a very long way to go. Finally, I finished the binding on my sewing machine. I used my 1/4″ piecing foot (the one with the stopper thingy on the right side.) This really helped me keep the seam straight on both the front and back. This project was fun, quick, and I got to try out a bunch of new techniques for the first time. I think its a bit wonky, but I’m glad its completely finished!